Tompolo sues FG over fraud allegations - BlogIT with OLIVIA!!! 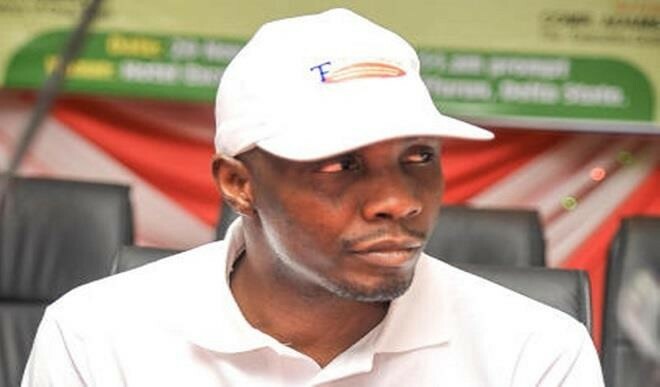 Former Niger Delta militant leader, Government Ekpemupolo, alias Tompolo, has sued the Federal Government at a Federal High Court in Lagos to challenge the N45.9 billion fraud charges filed against him by the Economic and Financial Crimes Commission (EFCC). Aside from the Federal Government, other defendants in the suit are the EFCC, the Inspector-General of Police, the Chief of Army Staff, the Chief of Naval Staff and the Chief of Air Staff. The anti-graft commission had in January filed a 40-count charge against Tompolo, ex-DG of the Nigeria Maritime Administration and Safety Agency (NIMASA) Patrick Akpobolokemi and others over the alleged N45.9 billion fraud. While the former NIMASA DG had appeared in court to answer to the charges, Tompolo had consistently shunned the court summons. The court subsequently declared him wanted for his failure to answer to the charges preferred against him by the EFCC. In Tomplo’s suit, which was filed on his behalf by a Lagos-based lawyer, Ebun-Olu Adegboruwa, the former militant leader contended that sections 221 and 306 of the Administration of Criminal Justice Act (ACJA) 2015, which prohibits him from seeking a stay of proceedings in his trial, are infringing on his constitutional rights to fair hearing. He urged the court to nullify sections 221 and 306 of the ACJA and restrain the FG, EFCC and the Inspector General of Police from deploying those sections of the law against him. It would be recalled that the EFCC had declared Tompolo wanted through a newspaper advert and obtained an order to confiscate his assets pending when he would submit himself to the court. The former Niger Delta militant subsequently filed an appeal at the Lagos Division of the Court of Appeal where he sought an order for the withdrawal of the charges filed against him before Justice Ibrahim Buba of a Lagos Federal High Court. He also wanted the appellate court to vacate the bench warrant order issued against him by Justice Buba.